Today in the mail a got some new parts from my two favourite watch part dealers on eBay, “Findingking” (www.findingking.com) and “qwatchaccessories”. The parts I ordered was click springs and new watch crystals. 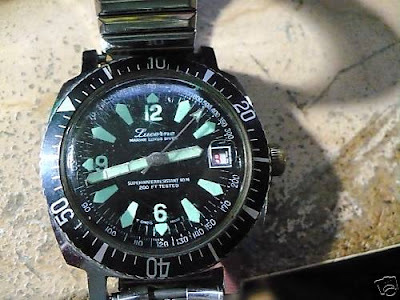 I have an old 70ies Lucerne diver’s watch that I bought on eBay a few weeks ago, the strange thing is that the seller thought that the watch were missing batteries (on a mechanical watch?) and therefore didn’t work, I didn’t argue with that as it was posted as a quartz movement. When I got it I discovered that it just needed a good clean and of course lost the click spring while doing so. I also have an old English fusee pocket watch that I was entrusted with by a friend (Big Mike). It’s a wonderful watch from the 1880ies and I think it works; the thing is that it’s missing the click too. The two watches are completely different and therefore needs different springs, I am hoping that the spring for the Lucerne will fit perfectly, but with the fusee I’ll have to fix it a bit. This will all come clear when I post the repairs soon. The watch crystals I mainly bought because of a nice Seiko automatic I have. The watch had a crack in the crystal when I got it and needs a replacement. I will post this repair shortly. Its always I good idea to have some watch crystal in different sizes, they may come in handy for that special vintage watch you have and then its easier to replace it right away then ordering parts that may take 1.5 weeks. Thank you for the information. Didnt find this page at first but now i did, more posts!! !